Plant a tray of seeds, knit one row. Wash a load of laundry, knit one row. 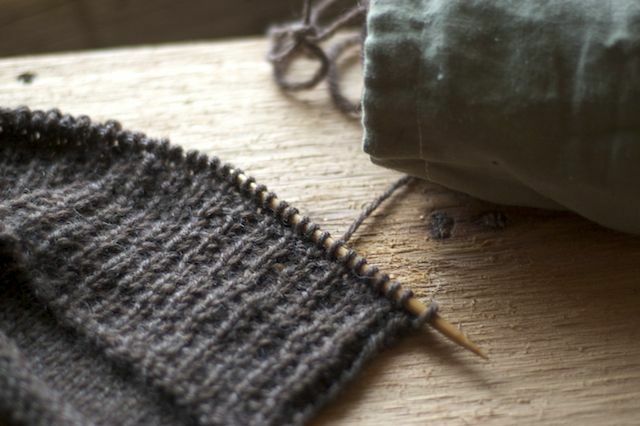 Play a hand of cards with Cole, knit one row. Help Luke look up information about bridge construction, knit one row. Prepare meals, knit one row. Tonight is movie night, though. I might finish three rows. Are you getting any knitting done this spring? p.s. We are so very grateful to all our sponsors who support us in this space. Please take a moment to click through and check out all of their wonderful handmade goods.